A Detailed Review of Slots.lv Casino - Can Slots.lv be Trusted in 2019? 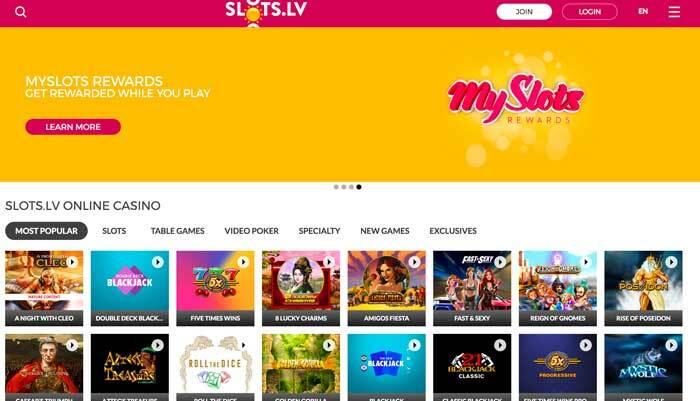 The Slots.lv online casino platform has been operating since the year of 2013, giving it a few years of experience to bring to the forefront now. It provides a great location for players from the United States to access and join, with multiple different games on hand to enjoy. The majority of the games that are on offer come from RealTime Gaming and Betsoft, so members of this site will have a great selection of titles to choose from and enjoy. Additionally, you’re able to access this casino from a mobile device. Therefore, if you’re a fan of playing your favorite casino games from any location, Slots.lv provides you with the opportunity to do so. While there isn’t a mobile app for you to download at all, you can enter the site’s address into your smartphone or tablet’s browser instead. This will then give you the optimized version of the site on your screen, ensuring that you have just as good an experience as you would with the desktop version. Slots.lv holds a gambling license from the Kahnawake Gaming Commission, which ensures that it adheres to standard gambling regulations. This means that your gameplay and any other activities at the casino are done in a secure and fair environment. You won’t be able to see any information on such at the website, which is a bit of a let-down. However, rest assured that it is a safe platform. The casino may be available to US and Canadian gamers, but it doesn’t provide a location for players from anywhere else to join. This is a bit of a shame in itself, because Slots.lv does have a lot to offer up to gamers. Yet for anyone who does have the chance to sign up and enjoy the collection of games, you’re in for a treat. Joining an online casino will often also provide you with the chance to receive special offers. That’s also the case at Slots.lv, where you’ll be able to claim a special welcome promotion. This covers your first nine deposits at the site. On top of your first one, you’ll be given a 200% match bonus up to $1,000. Then, on your proceeding eight deposits, you will be given a 100% bonus each time, up to $500. That means that you have a total of $5,000 to gain from the site’s welcome offer. In order to be able to receive the bonus funds, you will need to enter bonus codes when you’re making your qualifying deposits. For the first deposit, you need to insert the code HELLOSLOTS200. 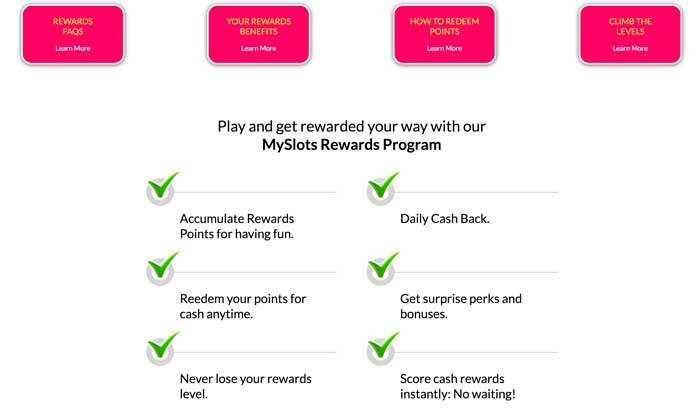 Then, when you want to claim the following eight deposit bonuses, you need to utilize the code HELLOSLOTS100 each time. Without these, the bonus funds will not be added onto your balance. The deposit that you make as well as the bonus amount that you receive are subject to wagering requirements of 35 times. After these requirements have been met, you can withdraw the bonus funds, the deposit, and any winnings you may acquire. The maximum value of the welcome package stands at $5,000 altogether. Only your activity at the casino that takes place after you redeem the bonuses will count towards the completion of these wagering requirements. 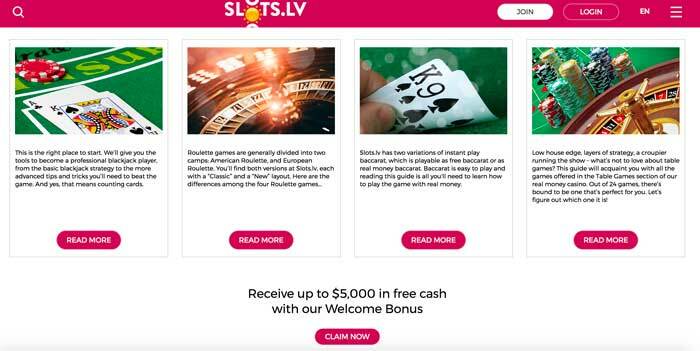 Adding funds to your Slots.lv account is something that you can do fairly easily, although there are only a small few options available to you for this. If you want to utilize the Bitcoin cryptocurrency, then this is accepted for transfers of anywhere between $20 and $5,000. Alternatively, the site accepts deposits made by Visa, Mastercard, or American Express for anywhere between $20 and $1,000. Finally, if you reside in Canada, there are two more options available to use. These are Interac Online, which allows you to deposit up to $500, or a direct bank transfer, giving you the chance to deposit up to $1,499. All of these deposits are usually done instantly, although they can take up to 24 hours to completely clear. The casino site doesn’t make any charges for you depositing funds into your account, although it’s important to be aware that certain card issuers may charge fees for transactions. Whenever you’re ready to make a withdrawal from your account, you can do this by selecting one of the few different options. First of all, there’s the check by courier option, which will take between four and seven business days to receive. There’s also the possibility of withdrawing back to your credit or debit card, which has the same time span. If you decide to make a withdrawal via Bitcoin, you’ll receive the funds within 15 minutes of them being processed. Bank wire transfers are also available to use, which take anywhere between five and 10 business days to complete. Finally, if you’re a Canadian resident, you can utilize the direct bank transfer option. This processes through within three to five business days. Bitcoin withdrawals at this casino are always free of charge, and the first withdrawal of each month via card is also free. However, any subsequent ones in the same month via this method will have a charge of $50 to pay. Check by courier withdrawals always have a $75 fee applied to them. Should You Play at Slots.lv Casino? Slots.lv may only be available to gamers from the United States or Canada, but it still manages to provide an intriguing platform for these players. There’s a good range of games on hand, which come from some impressive developers. Additionally, these are accessible from a mobile device, so you can take the casino’s games with you wherever you go. Plus, how could you ever turn down the thoroughly appealing welcome promotion of up to $5,000? This will surely see that you have an entertaining and fully enhanced experience as a newcomer at Slots.lv. The site does have a couple of downsides, though. For example, the lack of licensing information at the platform and the fees that are charged on certain withdrawal options. However, on the whole, the casino provides a very positive experience. And if you ever run into trouble and need some assistance, there’s a 24/7 support team on hand for you to speak with. For US and Canadian citizens, the Slots.lv platform will certainly be an appealing site to sign up to and play games at. Even though it isn’t available elsewhere, it makes for a bit more of a North American-focused platform to enjoy.